Grannies by Banksy is a very humorous print. It features two very nice little old ladies sitting in chairs and knitting. 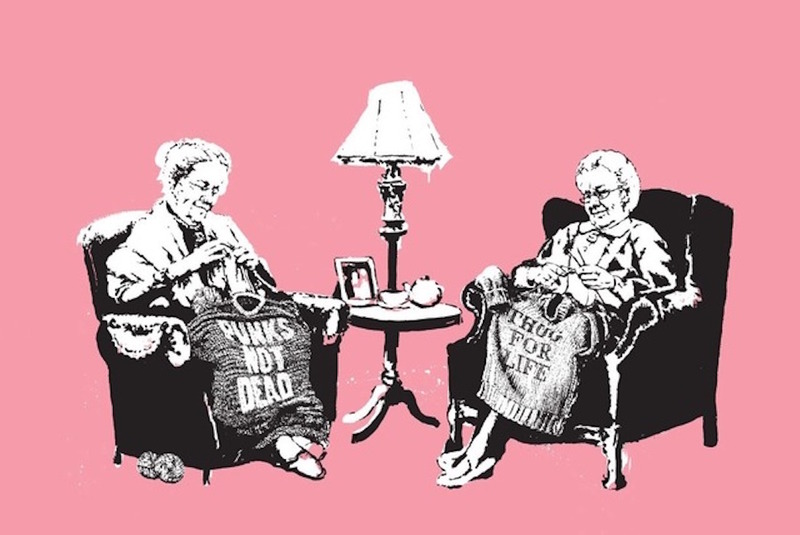 One little old lady is knitting a sweater tat has the words “punks not dead” on it. The other little old lady is focusing her energy on knitting a sweater that says “thug for life” on the front of it. It is very funny to see two sweet ladies knitting sweaters with those expressions on the front of them. The print is sure to receive a lot of laughs and good memories of elders.